Here it is - the easiest & fastest way to buy LTC online and pay with PAYPAL! I know what you're thinking - buying LTC online is never really that quick (without registration), and barely any exchanges that accept PayPal exist. Well, we prove them wrong! 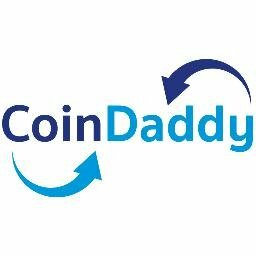 With CoinDaddy, you can buy Litecoin, Bitcoin and CameCredits via PayPal. If you have any questions about our service, please message me or email directly askcoindaddy (at) gmail(.)com. Thank you everyone for your trust, we've had a very successful time since our re-launch, every customer has received their coins and also made great profits from the rising bitcoin price. So thank you cryptocurrency Community, let's continue and make it big and not let Fiat money stop us! Usually the daily payout to a new customer is only $500 per day (bronze level), $1000 (silver level) or max. $1500 (gold level), but due to the high bitcoin & litecoin prices at the moment we're giving even new customers the chance to experience gold level PLUS 10% discount. If you want to purchase a large amount of coins, you send us max. $1500 every 24h and we will send you the LTC accordingly every 24hrs, until you have all your desired coins. So $1500 a day means you have a maximum of $45000 in BTC per month. Because of the bitcoin price rising at the moment, you will profit big! If you guys have any questions, please let me know. [ANN][Pool] DigiCrypto.Net LTC Pool. 0% PPS FEE UNTIL DECEMBER! Sign Up Now!